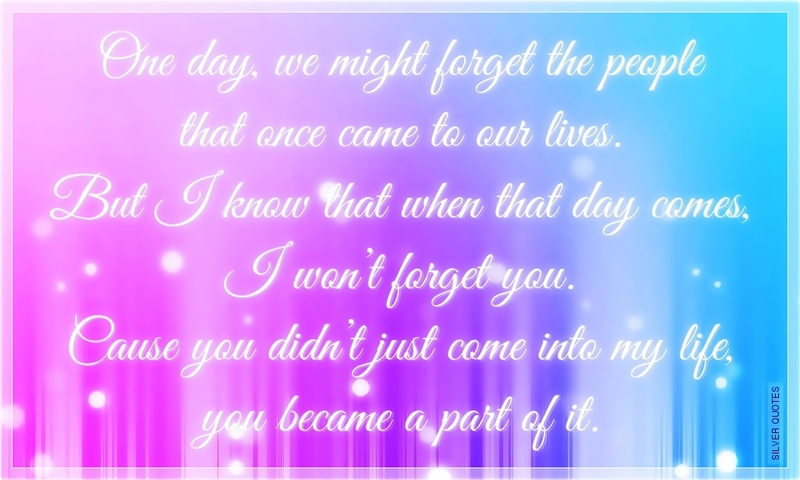 One day, we might forget the people that once came to our lives. But I know that when that day comes, I won’t forget you. Cause you didn’t just come into my life, you became a part of it.